Indulgent, light and healthy Matcha Tea Cheesecake with Almond crumble- ready in 15min only, is the ultimate skinny dessert to impress your guests! Cheesecake is possibly my favorite dessert. Fresh, delicious and easy to make, it’s fun to customize and get fantastic combinations every time. The American version is baked and recalls for processed cream cheese. It’s yummy, I can’t deny it, but it takes a little more time, and overall it’s not the healthiest dessert on the market. I love no-bake cheesecakes, they’re absolutely no-brainer and fuss-free, and you only need few simple natural ingredients. When it comes to cheesecakes, ricotta is my ultimate choice. It’s refreshing and one of the healthiest cheese available, so it’s a good choice for a low-fat, low-cal dessert. To make the perfect cheesecake filling, I recommend you mix very well the ricotta until smooth before adding the other ingredients. 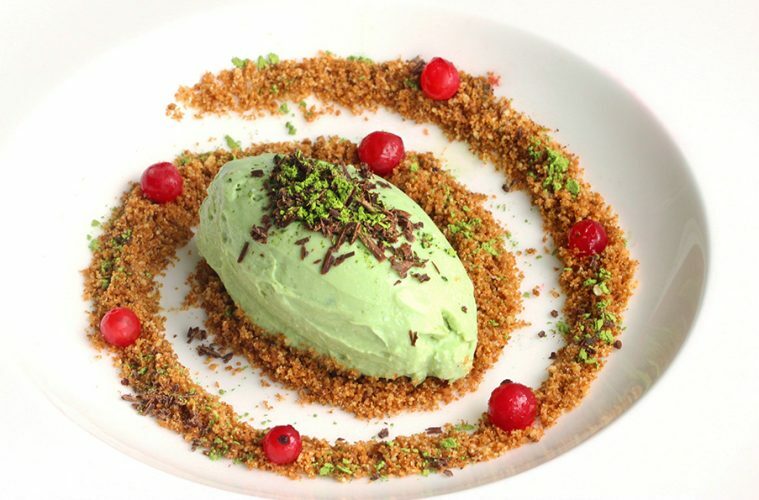 This light Matcha tea cheesecake was inspired by my recent trip in Japan. It’s no news I love this unique traditional green tea, I’ve already talked about its amazing properties in my Matcha & Pistachio Muffin recipe. Almond crumble substitutes digestive biscuits or graham crackers in this cheesecake recipe. It may sound unusual, but I love the light taste, and it’s a healthier low fat and gluten free alternative to the regular cheesecake base. I’ve simply used almond flour, mixed with a little agave nectar. Once you mix all together, just tip the mixture on a baking tray and bake for 5 min, until crunchy and golden brown. I promise you, this cheesecake will easily become your next favorite guilt-free dessert! If you’re looking for something more indulgent try this Mango cheesecake with brownie crust, YUM! 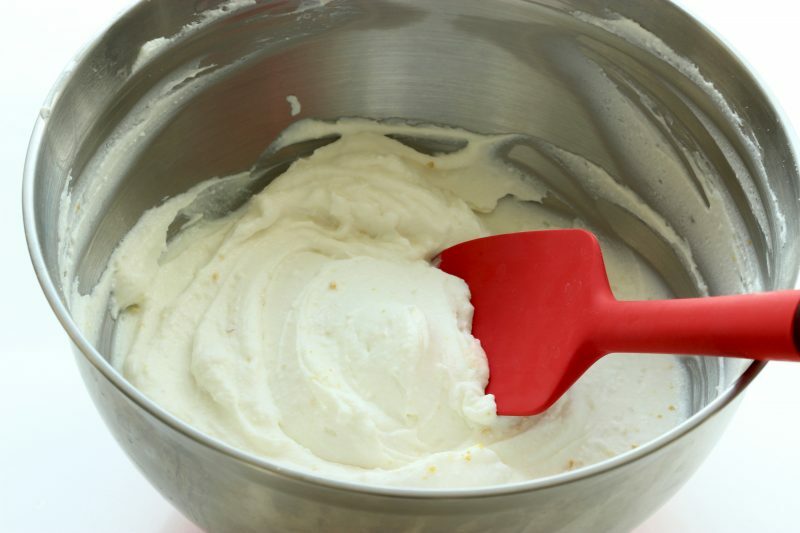 For the ricotta filling, put ricotta in a large bowl and mix with a hand blender until smooth and creamy. Add in orange & sugar and matcha tea powder, and mix through until combined. Put in the freezer at least for 10 min, or until ready to use. For the crumble, mix together agave nectar and almond flou. Tip the mixture into a cake tin or baking tray covered with parchment paper, and press firmly down into the base to create an even layer. 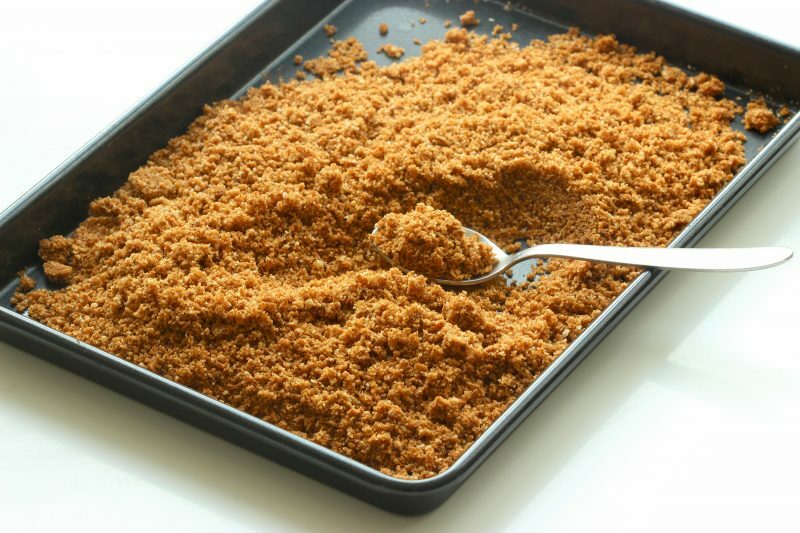 Bake in a preheated oven to 180C/350F for 5 min,or until golden, then allow to cool and break into crumble. Arrange on a plate 2 tbsp of almond crumble, then with the help of 2 spoons form a quenelle (oval scoop) and arrange on top. Alternatively use an ice-cream scooper. Decorate with red currant and dark chocolate and serve immediately. Enjoy!